Tell Congress: Time's up for polar bears! 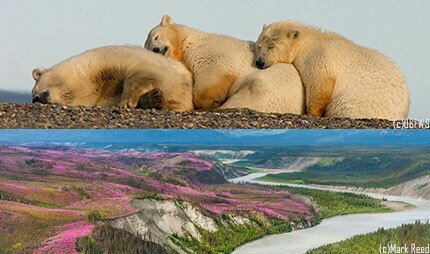 Please protect the Arctic Refuge and keep it off limits to oil and gas drilling once and for all. Update info for by clicking here. When you take action, you will be signed up to receive alerts from Alaska Wilderness League. In the year since President Obama asked Congress to protect the Arctic National Wildlife Refuge as Wilderness, our planet suffered the hottest temperatures on record...by a huge margin. Polar bears are struggling to cope. Congress must prevent new oil development from destroying America’s remaining breathtaking landscapes, especially polar bear birthing grounds in the Arctic Refuge. Senate bill S. 2341 will designate the Refuge as Wilderness. Urge your Senator to take action!